Watching ants at work is a fascinating business. Children and adults alike will be intrigued by worker ants building tunnels and cooperating with each other to get the job done. Ants have more to teach us than we think. That's why ant farms have fascinated people for generations. Watching the little ladies going about their daily chores can keep you interested for a long time. Today there are new options in the ant farm realm that are not only interesting but surprisingly beautiful as well. Take a look at some of these traditional and gel ant farms and see what you think. 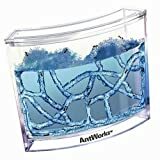 For Kids Big or Small -- The Gel Ant Farm Looks Great on a Desk, Too! Since the 1950's, ant farms have been delighting young nature lovers with their ready access to the life and habits of our ant friends. Uncle Milton was the first to create a commercially available ant farm. The NASA space program experimented with an edible gel that has transformed the traditional ant farm into a fantastic color and light display. 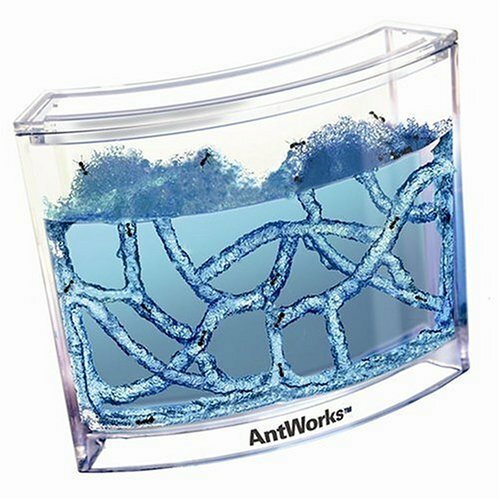 These gel ant farms are illuminated with LED lights and look great on a shelf or desktop. The newest addition to the ant farm world is a hand held tube that can even project the shadows of ants onto the wall or the ceiling! Ant farms remain a fascinating way to introduce insect life to children. With an ant farm, it is easy to observe ants in their habitat, creating tunnels and caring for their young. Children can learn about the cooperative colonies that ants create. All kinds of conversations can be generated from children's observations and questions. These conversations can focus on the topic of insect life and behavior or can branch out into areas beyond the study of insects to include human questions of cooperation and the sustainability of the planet. When I taught grade 4, we had an ant farm in the classroom which generated a lot of student interest. As well as studying insects, we enjoyed the artistic creations of our ant friends. Because the ant farm was filled with colored sand placed in layers, the ants moved the colors around while making their tunnels, transferring red sand here, blue sand there, white sand somewhere else, grain by grain. Though the ants did not know it (I don't think!) they were mixing colors and creating new patterns. We had a lot of fun returning to the classroom in the morning to see what new developments had taken place. Students whooped in appreciation to see the creation of purples and pinks. I'll bet the addition of yellow to the mix would have produced even more results. After a while, there were more muddy grays, but at least for a while we were treated to lots of colorful sand patterns. Which Do You Prefer: Gel Ant Farm or Traditional Ant Farm? I think I prefer the sand-filled because it's more natural for the ants, but the gel-based ant farms seem interesting just because they are so different. 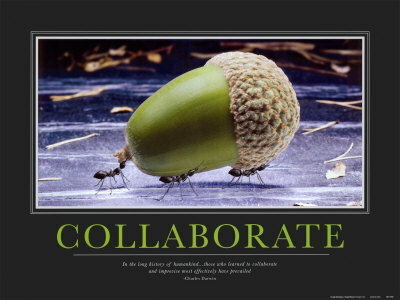 Ideas for integrating the study of ants with math and literature. When children have an ant farm to watch and explore, teaching them facts about ants is done within a more helpful context. 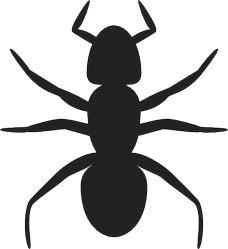 For example, information about ant body parts, such as head, thorax, and abdomen, makes more sense and is better retained when the ants are right there in front of the students, rather than presented from a book or a picture of one ant. When the ants are an interesting, moving colony, the children see the three parts again and again and can learn to distinguish the parts in each ant they track. Children also see first hand how many legs the ant has and where the legs attach to the body. When these facts are taught separately from the real living and moving creatures, there is less reason to remember them. How many parts are there to the ant's body? How many legs does an ant have? Where do the legs attach to the rest of the body? What is attached to the ant's head and what do you think they are for? Your students will learn and understand the information better when they are involved with collecting the data. Even if they make a mistake, you can redirect them to the ant farm to look more closely and give them the experience of careful observation. They will learn and understand the information better when they have this living experience. Need Some Images of Ants? Find detailed photos of any species of ant. The site plans to document all 15,000 or so species of ants that exist world wide. So far, they have over 8,000 -- just over half! Have You Ever Had an Ant Farm? I know what you mean, SPB! We have occasionally had carpenter ants in the house, which is creepy. Ants in an ant farm are different. I haven't heard of people's houses being infested because of a commercially produced ant farm. The company would probably be out of business soon if ants escaped! I hope you do take the step to put one on your desk. Pretty cool to watch! To be honest, the idea of having ants in the house creeps me out... but now you have me thinking. How cool would it be to have one on my desk?? I could work away and then glance up to see what the little guys were doing!! So in less than a minute, you have turned me to not wanting one to deliberating on it.! You are good lol! I love all little and big living things and had an Uncle Milton type ant farm as a child. Funny, Barbara! But only some ants bite. When you purchase an ant farm, it comes with a certificate you send away for a queen ant. I don't think the ant they send you is the kind that bites. Once she lays her eggs and begins the colony, you get to see how it all works. And once the ants are inside the ant farm, they shouldn't be able to escape. If your original ants die off, you can restock your ant farm with local ants if you want, but you have to be careful not to mix ants as ants from different colonies recognize the difference and will fight. And if you don't have a queen ant, the worker ants may lose heart. Also, if you restock the ant farm with local ants, you are on your own as to whether or not they bite! I have good memories of having an ant farm as a child. I hadn't heard of the gel ant farms until now -- those look very cool too!